The past year has been a financially successful one for some of the world’s biggest athletes, according to Forbes. The publication recently released their annual list of the highest-paid sports stars in the world, ranking the players by their total income for the period of June 1, 2017 to June 1, 2018. Based on the money they earned in winnings, salaries, bonuses and endorsements, these athletic superstars all made the cut. But who banked the most buck over the 12-month period? Read on to find out who nabbed the No. 1 spot as the top-earning athlete of the year. The NBA player’s earnings got a huge boost this year, thanks to a $100 million deal with the Bucks. The athlete earned $35.5 million over the year, with $13 million coming from endorsements alone. 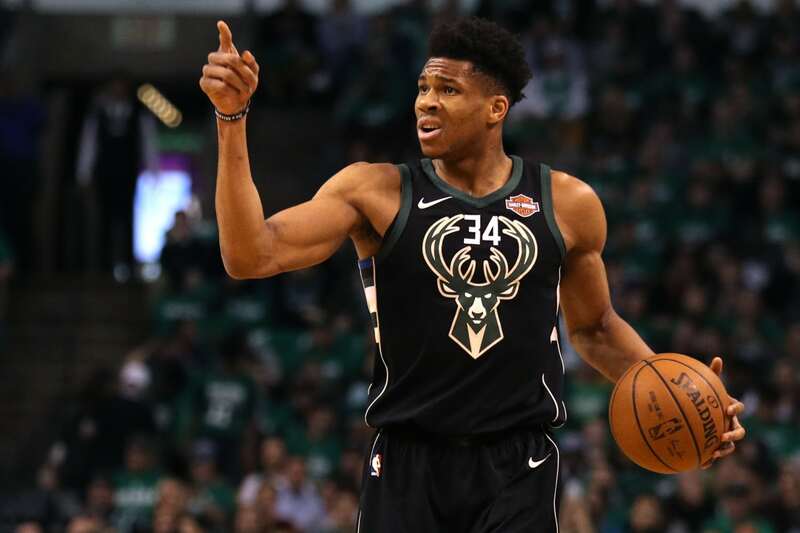 Though Giannis Antetokounmpo has deals with BMO Harris, Kronos Food and other companies, one of his most lucrative agreements is with Nike. The basketball star signed a contract extension with the brand, guaranteeing him $9 million in the first year with more to come after his first signature shoe drops in 2019. But his income isn’t the only thing Antetokounmpo increased this year. Over the 2017-18 season, he also averaged a career high of 27 points per game. After pulling in $35.5 million over the year, Blake Griffin tied with Giannis Antetokounmpo to land at No. 30 on Forbes’ list. 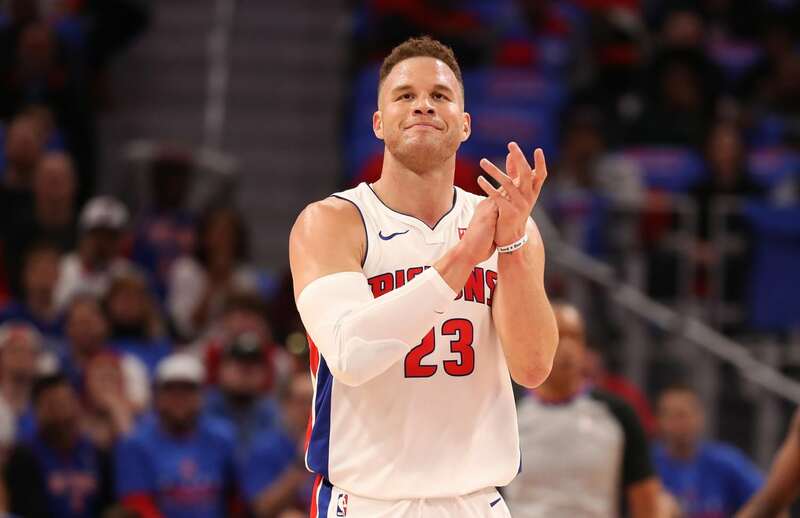 The NBA player had a tumultuous year, including a surprise trade from the Los Angeles Clippers to the Pistons in January. Despite the switch in teams, Griffin still raked in a salary of $29.5 million. The basketball star also pulled in various endorsements for Nike’s Jordan brand, Red Bull and other brands, adding around $6 million to his total compensation. Now it seems Griffin, who famously dated Kendall Jenner, is looking to break into the entertainment industry. The NBA player shares a production company with a fellow athlete, NFL center Ryan Kalil. With a salary of $19.1 million and additional earnings from endorsements, Kyrie Irving garnered a total of $36.1 million for the year. 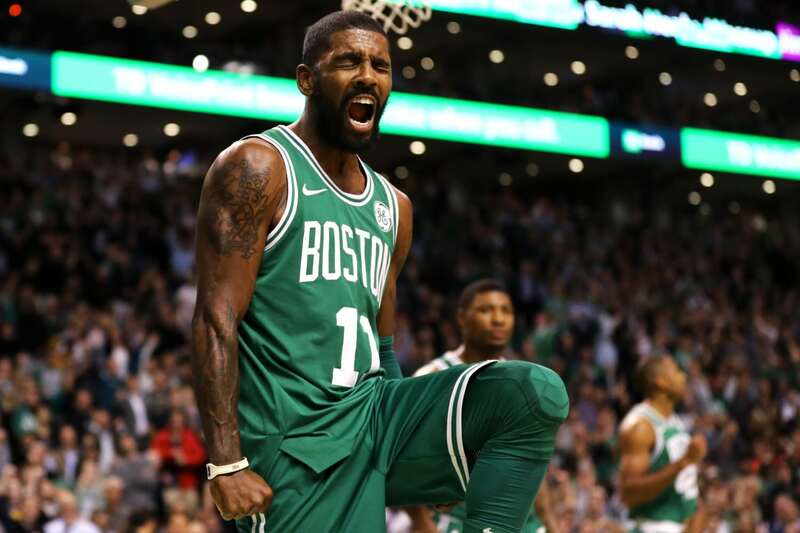 The NBA player, who was traded from the Cavaliers to the Celtics last summer, helped lead the team in a strong season before a knee injury forced him to sit out. Though Jimmy Garoppolo hasn’t lined up many endorsements (yet), the football star did nab one of the biggest deals in NFL history. The quarterback, who spent over three years serving as back-up to Tom Brady for the Patriots, signed a five-year, $137.5 million contract with the ’49ers in 2017. At the time, the deal set a record for total value and annual salary, which averages out to about $27.5 million. 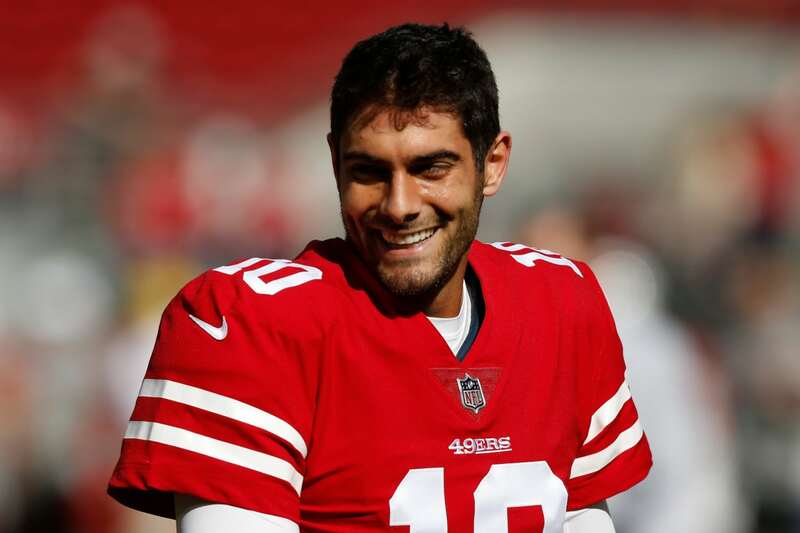 Though the record has since fallen, Garoppolo can’t be complaining — he took a total of $36.2 million to the bank last year. 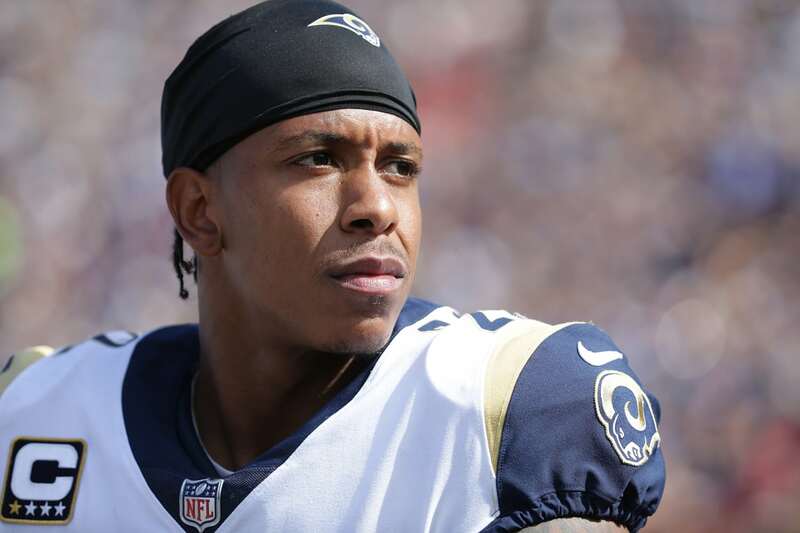 A huge deal with the New York Jets landed Trumaine Johnson a spot on this ranking. The cornerback signed a five-year, $72.5 million contract with the team, which comes out to an annual average of $14.5 million. As if that wasn’t impressive enough, the football star, who previously played for the Los Angeles Rams, also earned a $20 million signing bonus under the deal. 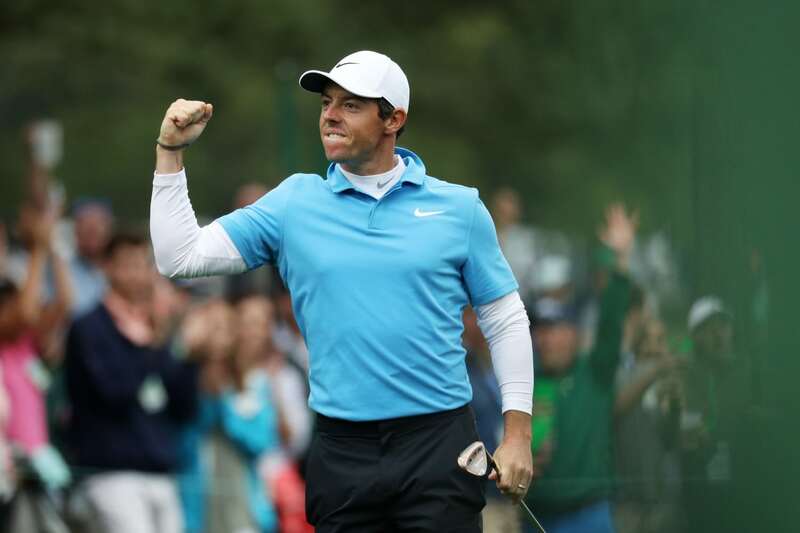 Despite struggling to net any major victories in recent months, Rory McIlroy still brought home $37.7 million in compensation for the year. The athlete, who has dealt with injuries for the past year or so, owes the bulk of his income to long-term deals with Nike and TaylorMade, plus additional endorsement partners, such as Electronic Arts. Aside from his obvious bankability as a marketing star, the athlete boosted his earnings this year with $3.7 million in winnings. With over $39 million in salary and endorsement earnings for the year, Anthony Joshua landed at No. 25 on the list. The heavyweight fighter recorded 21 wins over the 12 months, netting a total of $32 million. Among his most popular battles: his fight against Joseph Parker, which drew nearly 1.5 million buys on pay-per-view. 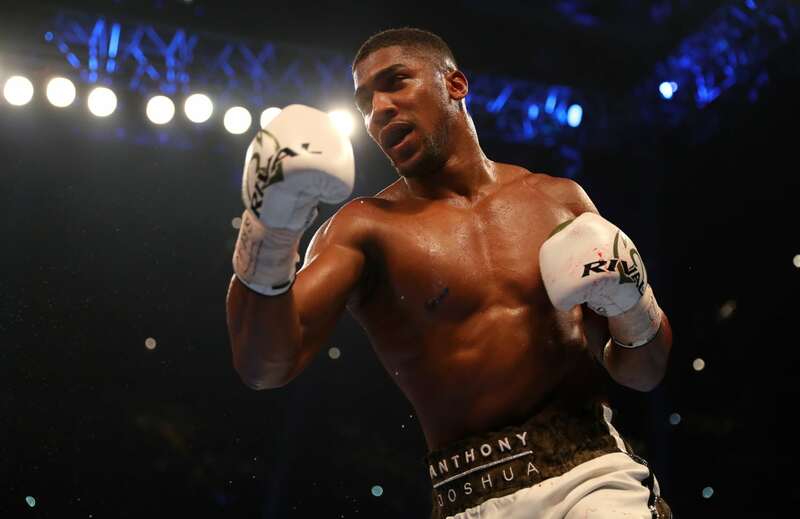 Joshua also has more than dozen sponsors to his name, including Under Armour, Jaguar, Beats, StubHub and Hugo Boss. 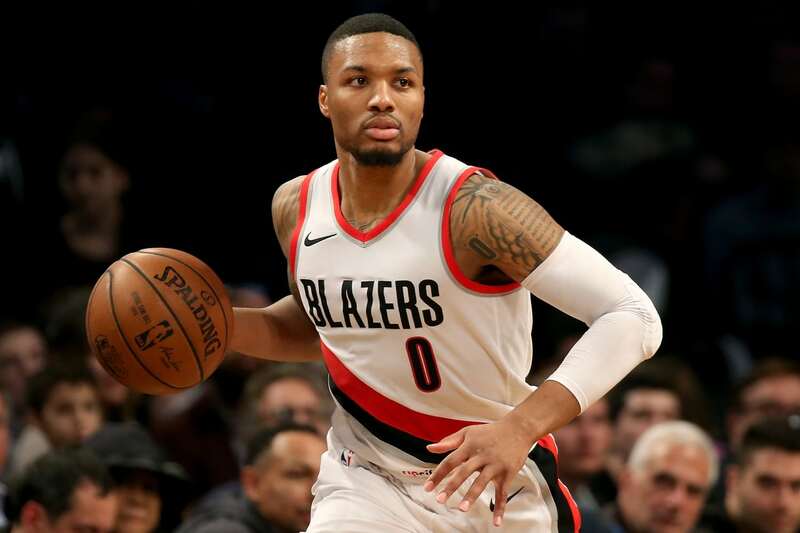 Damian Lillard banked $39.2 million over the year, largely buoyed by his five-year, $140 million deal with the Portland Blazers. Under the contract, the three-time All-Star earns $26.2 million a year until the final year, when it goes up to $31.6 million. The basketball star also has $13 million worth of endorsements, thanks to deals with Panini, Tapestry, Powerade and Toyota Motor. But Lillard’s interests span far outside of athletics. The NBA player also loves music and has dropped two rap albums to date. According to Forbes, Jordan Spieth made a total $41.2 million for the year. The golfer won $11.2 million in prize money, including the $1.85 million check he pocketed for winning his third major, at the 2017 British Open. The athlete also has an extensive endorsement portfolio. In addition to his partnership with Under Armour (which debuted its first Spieth-inspired golf shoe last year), he has deals with several other huge corporations, such as AT&T, Coca-Cola and Rolex. His long list of sponsors earned him another $30 million. 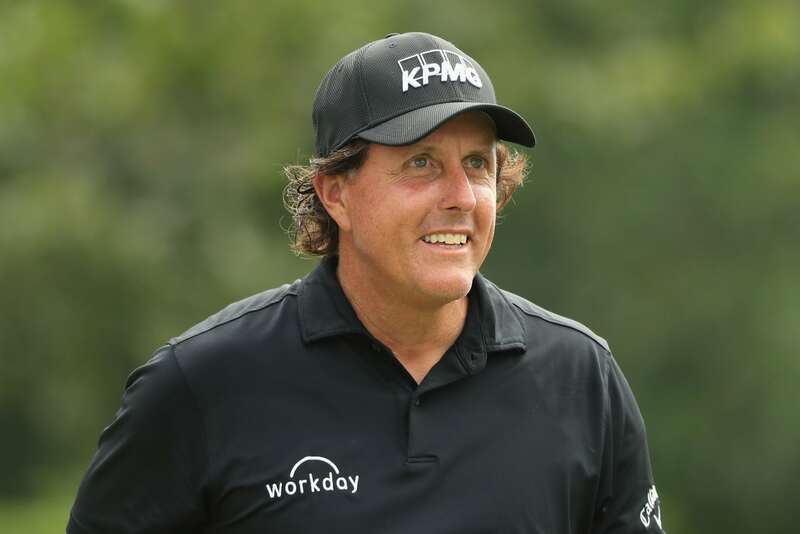 Phil Mickelson earned $4.3 million in prize money over the year, which saw him win his first tournament in five years in March. The golf player may have been temporarily caught in a losing streak, but he remains popular with fans (have you seen his flop shot?!?) and in-demand when it came to endorsement deals. Last year, signs new deals Intrepid Financial Partners and human resources firm Workday. In addition to that, he retained endorsements with Amgen, ExxonMobil, KPMG, Rolex and the Greenbrier. 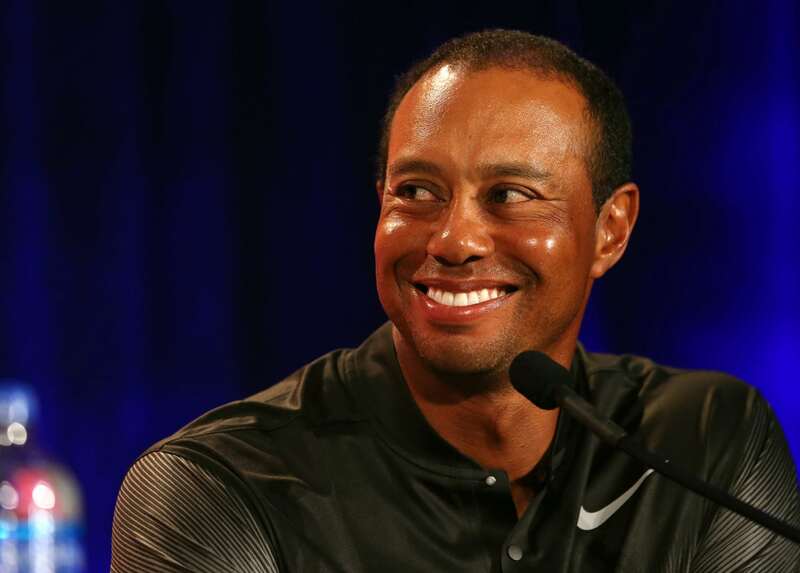 His reputation as one of the most marketable names in golf earned him an additional $37 million, bringing his total income for the year up to $41.3 million. Alex Smith ties with Rafael Nadal for the 20th spot on Forbes’ list with the $41.1 million he brought in over the year. The football player extended his deal with the Redskins in a contract reportedly worth $94 million. 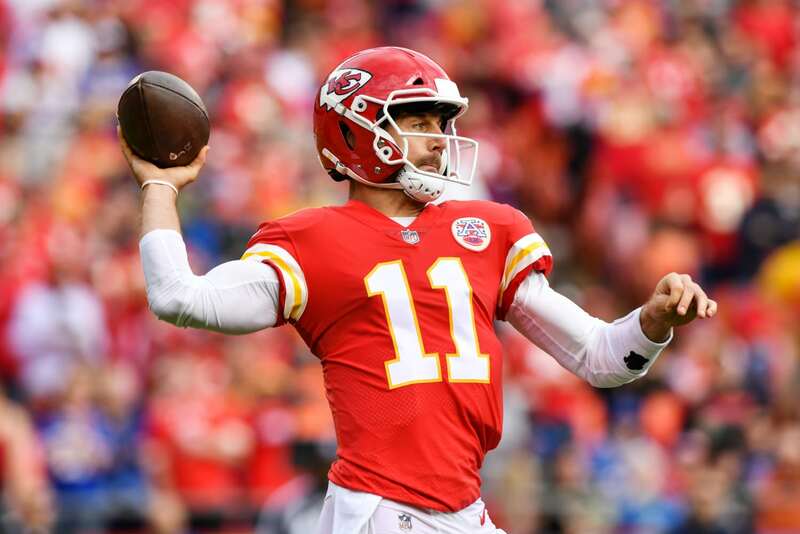 In addition to the $40.4 million he earns playing the game, the NFL star rakes in an additional $1 million from appearances and sponsors Nike and AdvcoCare. 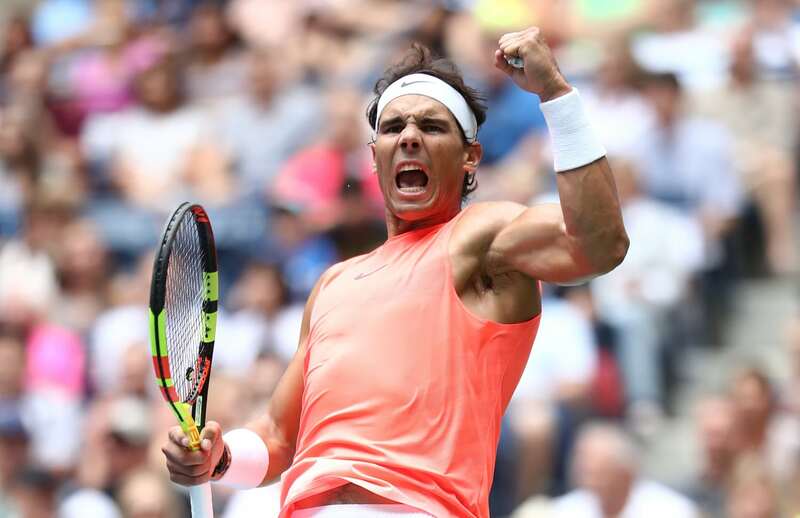 Rafael Nadal’s wins at the French Open and U.S. Open in 2017 garnered him more than $6 million in prize money — almost half of the $14.4 million he earned in games over the course of the year. But though the accomplished tennis player has earned plenty of accolades on the court, it’s his endorsement deals that earn him the big bucks. Nadal earns over $27 million from endorsements with Nike, Babolat, Kia Motors, Telefonic, Banco Sabadall and more. The deals contribute the heft of the $41.4 million he earned in the 12 months leading up to early June. The NFL star pulled in an annual total of just over $42 million after re-upping his contract with the Oakland Raiders in 2017. The five-year extension was worth $125 million, with $40 million guaranteed to be paid out in the first 12 months. He buoyed his earnings with around $2 million in endorsements. Carr has plenty of projects outside of the field as well, including an active YouTube channel and an athletic training facility that he co-founded with brother David Carr. The Formula One driver, who ranks fourth all-time in career wins, brought in $43 million over the year due to a lucrative deal with Ferrari. 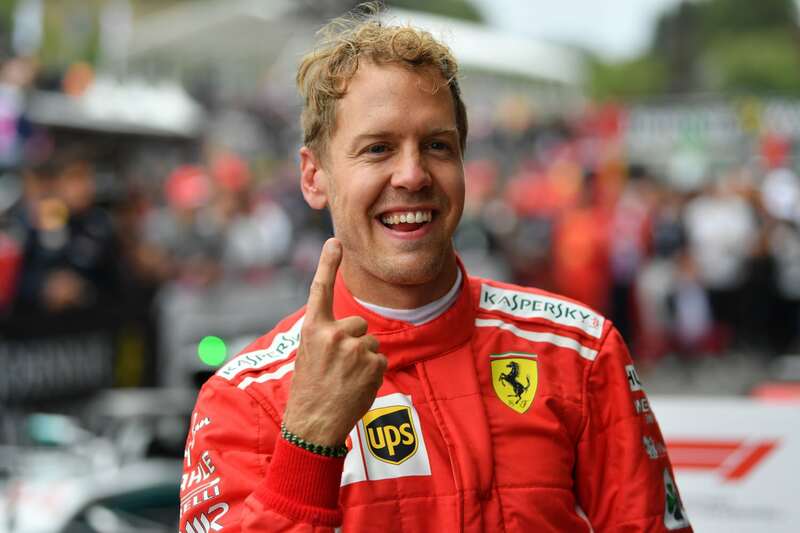 Though Sebastian Vettel hasn’t won a title since moving to the team in 2015, he did see a significant increase in salary. Last year, he signed a contract extension that pays more than $40 million annually through 2020. His hefty paycheck puts him in at No. 18 among highest-paid athletes, even though — unlike most of the other names on this list — he earns under half a million dollars from endorsements. 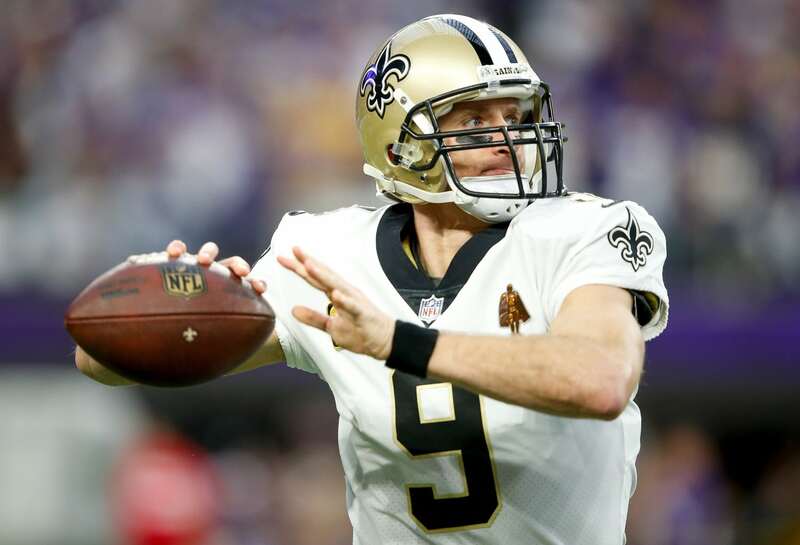 As one of the top rankers on both the all-time passing yardage and passing touchdown lists, it’s no surprise Drew Brees pulls in a pretty penny. The quarterback earns an annual salary of close to $30 million under his deal with the New Orleans Saints. He also boasts one of the NFL’s most impressive endorsement portfolios. His deals with Nike, PepsiCo, Wrangler, Verizon and Microsoft among others add another $13 million to his annual income. But perhaps most impressive is Brees’ philanthropical work. The Brees Dream Foundation has contributed over $25 million to various charitable causes. After staying mostly out of PGA events for several years due to back problems and surgery, Tiger Woods is slowly returning to the game. The famous golf player earned $43.3 million over the past year — only about $1.3 million of which came from prize money. The other $42 million of his fortune came from his sponsorships, which include Nike, TaylorMade, Bridgestone, Monster Energy, Hero MotoCorp and Kowa. Boxer Canelo Alvarez earned an impressive paycheck of roughly $42 million for his 2017 fight against Gennady Golovkin. The fight, which concluded in a draw, garnered 1.3 million pay-per-view buys. The two were set to earn even more in a scheduled rematch, but it was canceled after Alvarez failed a pre-fight drug test. 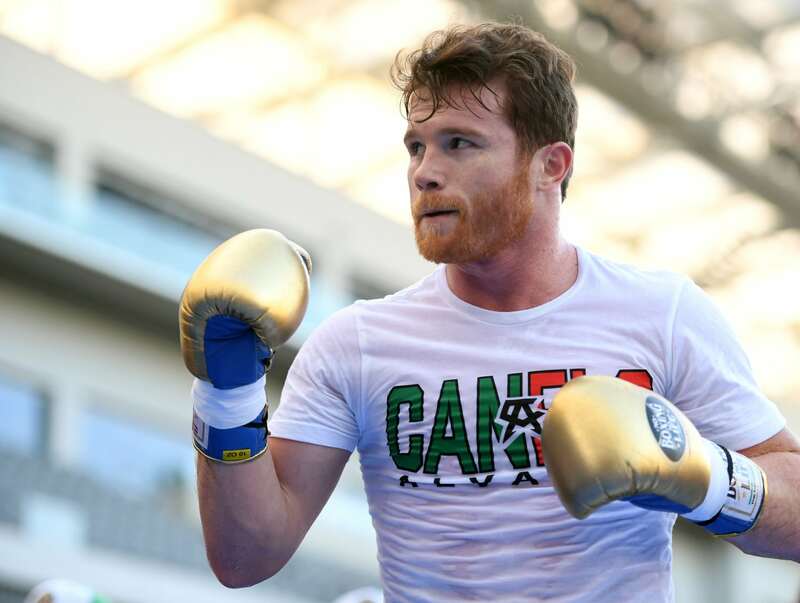 Alvarez earned an additional $2.5 million outside the ring, thanks to sponsorships with Under Armour, Tecate, Hennessy and Everlast. James Harden earned his $28.4 million annual salary with a stellar run this past season. 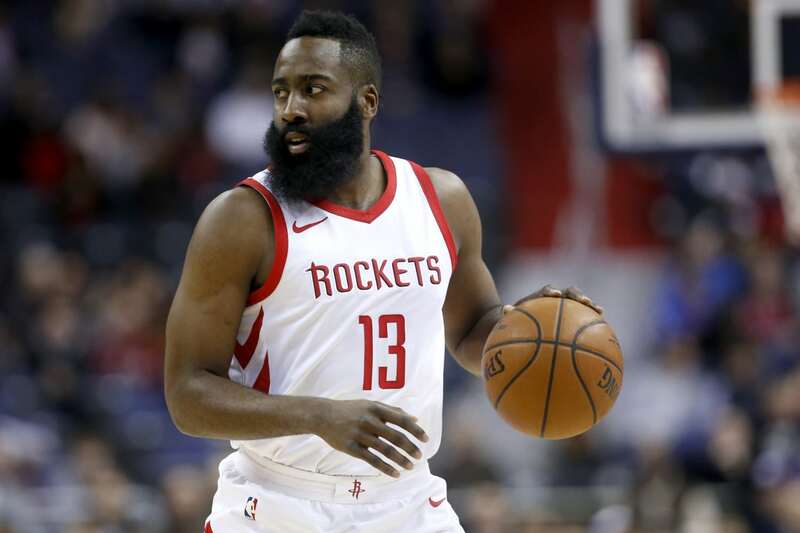 The Rockets star was crowned the 2017-18 NBA MVP after leading the entire league in scoring. His success on the court has also made him a popular pick for various endorsements partners. The athlete is one of the faces of Adidas’ NBA campaign. He also has deals with Beats, Foot Locker, State Farm, Electronic Arts, Trolli and BodyArmor, leading to an additional $18 million in income. Over $47 million in income makes Russell Westbrook one of the highest-paid athletes in the NBA. 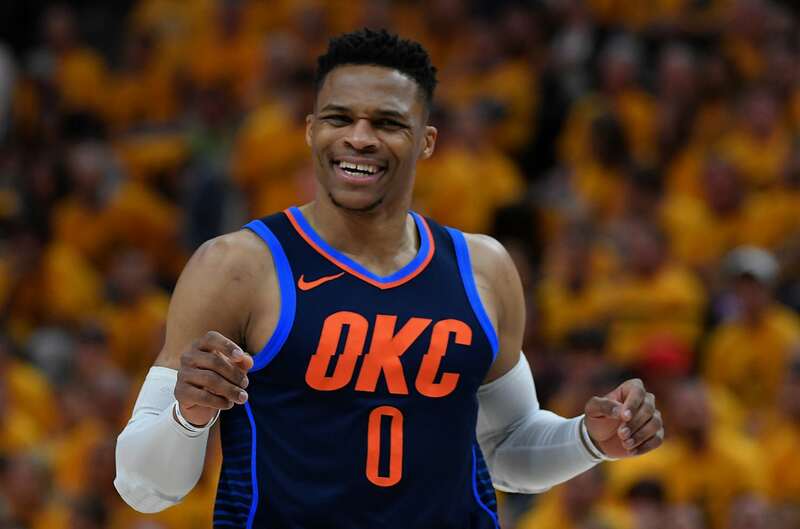 The basketball player signed a three-year contract with the Oklahoma City Thunder in 2016, earning him an average annual salary of $28.6 million. He also signed a new 10-year contract with Nike’s Jordan brand, contributing to the $19 million he earned from endorsements last year. The British Formula One driver lands at No. 12 on the list thanks to his $51 million in earnings. In addition to banking $42 million from his salary and race winnings, Lewis boasts myriad endorsement deals, with Mercedes-Benz, Tommy Hilfiger, Monster Energy, Puma, IWC, Sony and others. He stands to make even more money in the coming years. 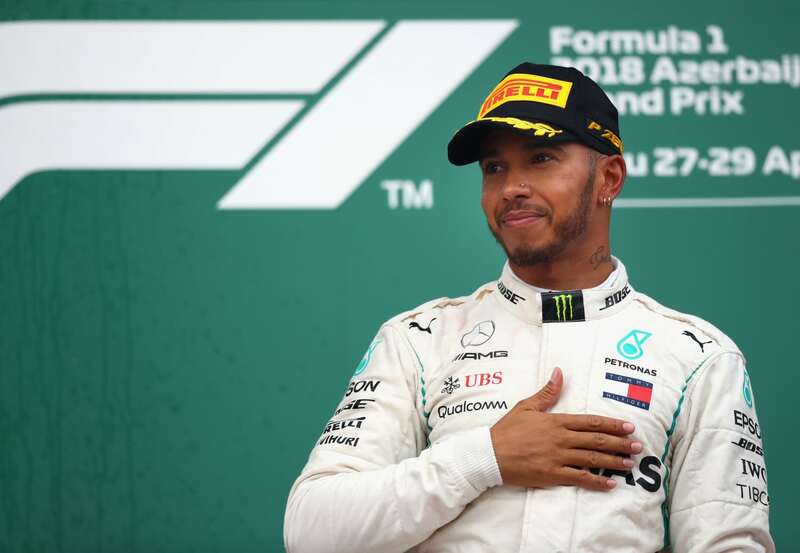 Hamilton signed a two-year contract extension with Mercedes that’s worth $52 million a year, according to CNN. 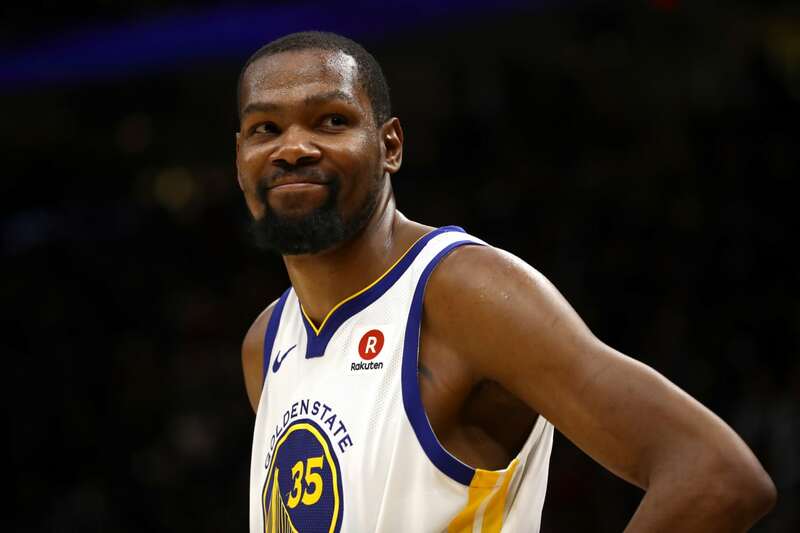 Kevin Durant raked in $57.3 million in the year leading up to June 2018. The basketball player signed a new two-year contract with the Golden State Warriors for the 2017-18 season, earning him $25.3 million in the first 12 months. The NBA star also makes more than $30 million annually off the court. His endorsement partnerships include Nike, Beats, American Family Insurance, Alaska Airlines and Panini. He also earns extra income from his company, the Durant Company, which has invested in more than 30 corporations (including Postmates and Lime Bike) to date. 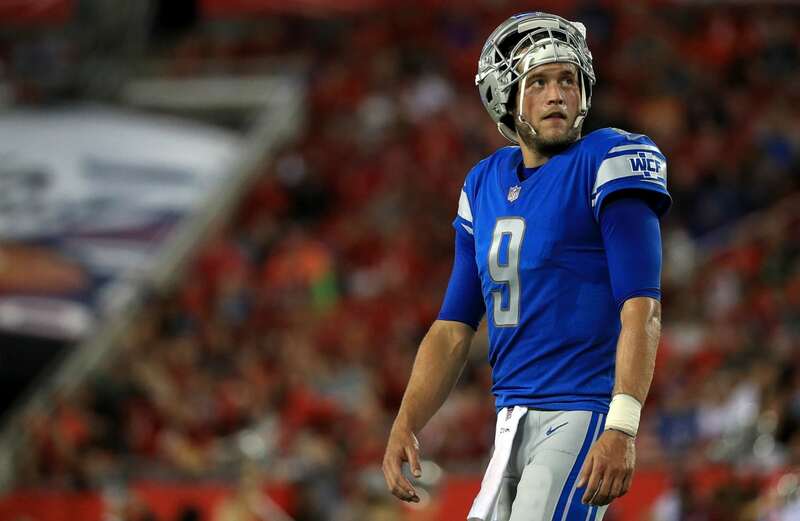 Matthew Stafford ranked No. 10 among the world’s highest-paid athletes with a $59.5 million income. Last summer, the NFL player signed a new five-year deal worth $135 million, with $60.5 million guaranteed and $50 million signing bonus to boot. He earns another $2 million from endorsements with Nike, PepsiCo, Fanatics, Blue Cross/Blue Shield, Ford Motor, Panini and St. Joe’s Hospital. The Falcons quarterback signed a record-breaking deal in May, making him the first player in the NFL to earn an average of $30 million a year. 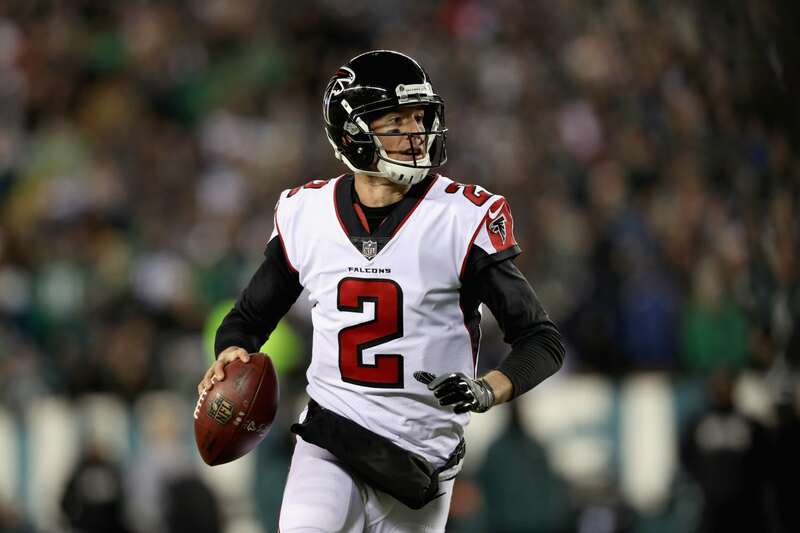 Under the new contract, Matt Ryan also earned a guarantee of $100 million and a signing bonus of $46.5 million (half of which was deferred to April 2019). Ryan also supplements his income with endorsements for Nike, Gatorade, Delta Airlines, IBM, Mercedes Benz and Banana Republic. 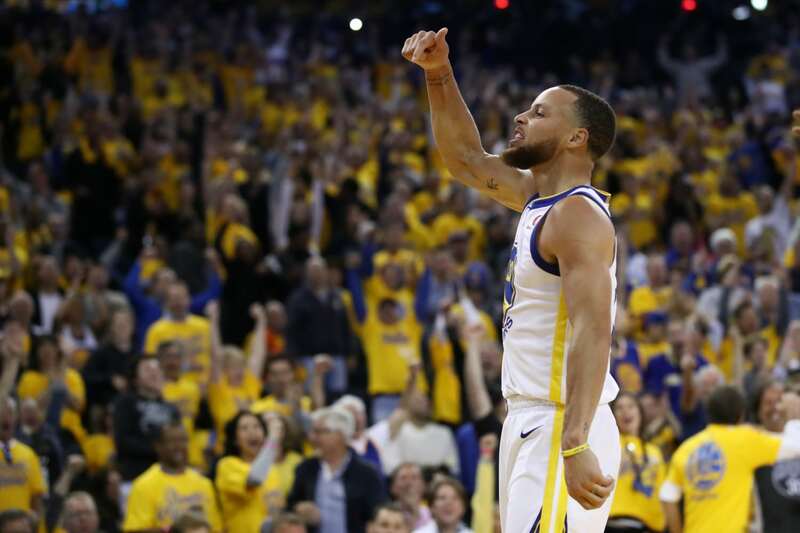 Stephen Curry earned close to three times his previous salary this past season, earning $76 million over the yearlong period. The NBA star signed a new deal with the Warriors last summer, guaranteeing him a total of $201 million over five years. He also raked in around $42 million from his endorsement partners, which include Chase, Nissan/Infiniti, Under Armour, JBL and several others. Curry will be getting into the movie-making business as well. He recently co-founded the production company Unanimous Media as part of a new development and production deal with Sony Picture Entertainment. The accomplished men’s tennis player came in at No. 7 on the list with a total of $77.2 million in annual earnings. 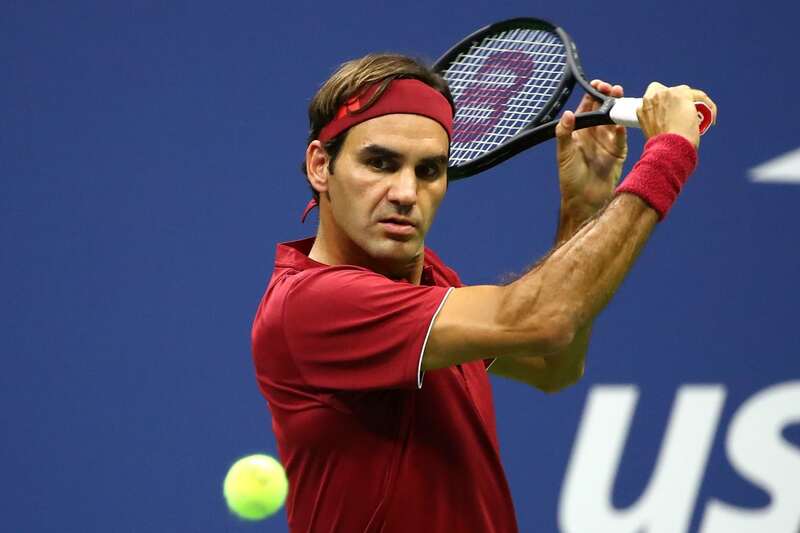 Roger Federer added two majors to his long record of wins, but his $12.2 million in salary and winnings is outsized by the $65 million he earns in high-paying endorsements and appearances. The athlete’s global sponsors include Mercedes-Benz, Lindt, Wilson, Credit Suisse, Rolex, Barilla and more. Off the court, Federer also stays busy with his foundation, which has raised more than $40 million towards the goal of providing education to children in Africa. 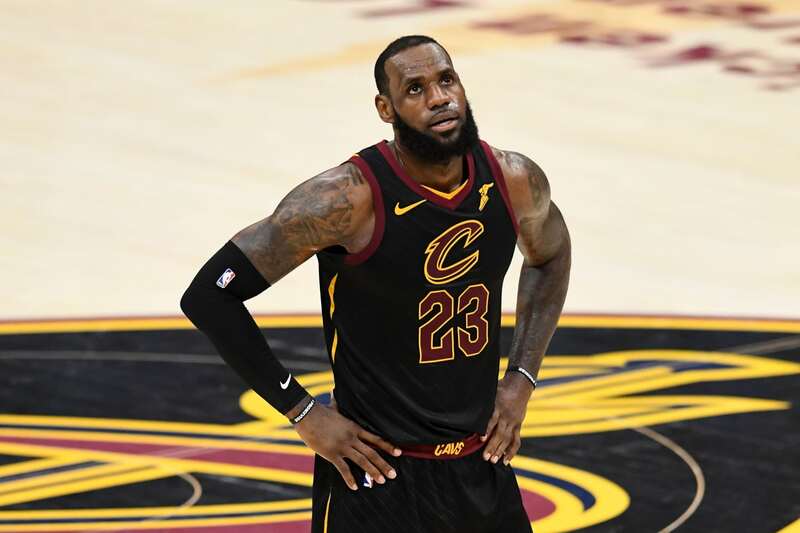 LeBron James’ ongoing success on and off the court earned him a cool $85.5 million over the year. Over a decade into his professional career, he continues to break records, becoming the youngest NBA player to reach 30,000 career points in January 2018. Given his achievements, it’s no surprise he also holds the most lucrative set of endorsements of anyone in the NBA. He counts Nike, Coca-Cola (Sprite), Beats By Dre, Kia Motor, Intel and Blaze Pizza among his deals — and he’s also an investor in the latter. Speaking of investing, James also holds a 2 percent stake in the English football club Liverpool. Outside of sports, he oversees a production company and a media company and remains active with his foundation, which opened its first elementary school in his hometown of Akron, Ohio in July 2018. Neymar is one of three soccer players to rank in the top five of Forbes’ list. 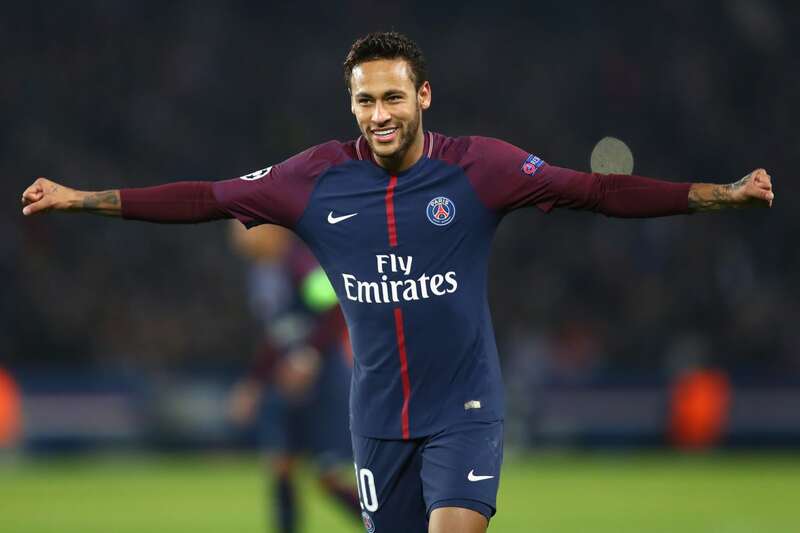 After signing a five-year contract with Paris Saint-Germain in August 2017, the Brazilian star is earning a total of $350 million in salary to be paid out through June 2022. Off the field, he also rakes in about $19 million thanks to his sponsorships with Nike, Red Bull, Gillette, McDonalds and Beats by Dre. The UFC star took home $99 million in between June 2017 and June 2018. 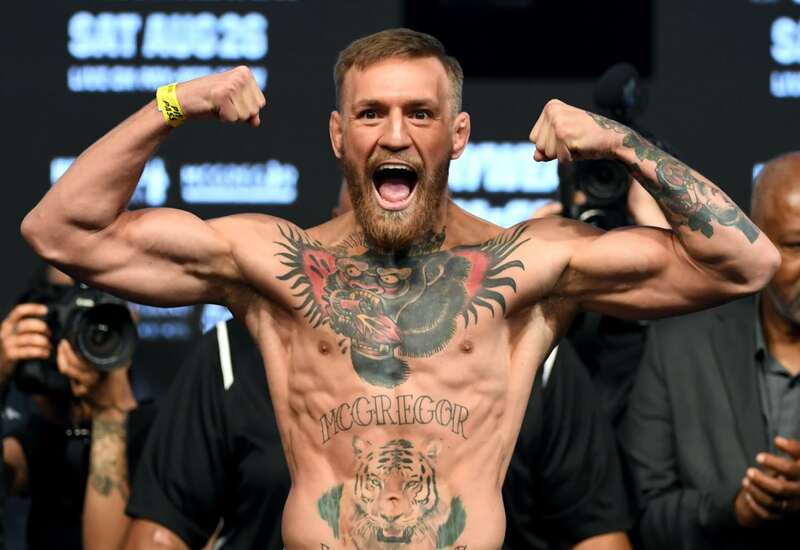 Conor McGregor scored the biggest payday of his career following his widely watched August 2017 boxing match against Floyd Mayweather. Though he lost the match, the mixed martial artist banked approximately $85 million for the fight — more than five times what he previously earned in the ring. With the battle creating a lot of buzz around his name, McGregor also found himself in demand for endorsements. The boxer signed deals with Burger King, Beats by Dre, Monster Energy, Anheuser-Busch and HiSmile among others. He also earned extra cash from his residency deal with the Wynn Las Vegas, where he holds all his afterparties. Ronaldo is also the most one of the most marketable athletes in the world, which helped add close to $50 million to his bank account this year. 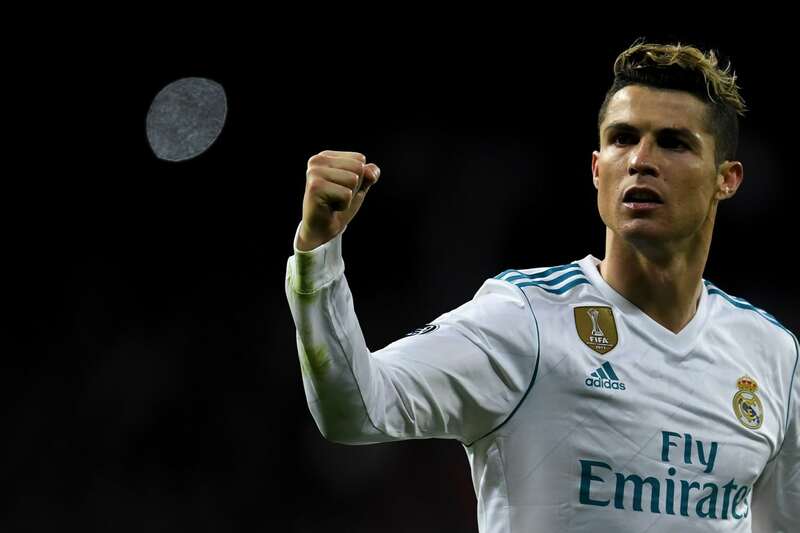 Ronaldo has a lifetime Nike contract worth more than $1 billion and a slew of other lucrative deals with EA Sports, American Tourister and more. Lionel Messi edged out his main competition, Cristian Ronaldo, this year with annual earnings of $111 million. After extending his contract with Barcelona through 2021, the soccer player brought in a salary and bonus of over $80 million this year. That made him not only the highest-paid athlete on the field, but the second top earner in the entire sports arena, according to Forbes. 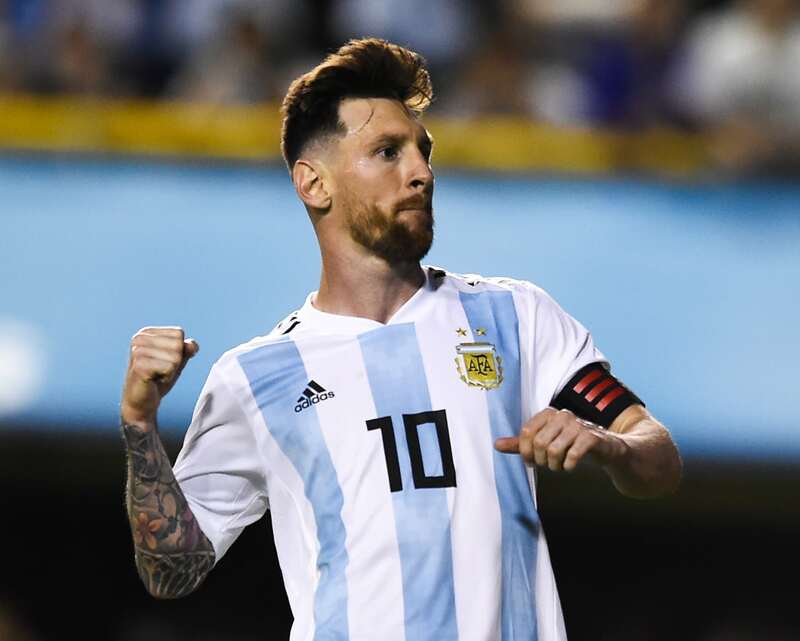 In addition to his impressive salary, Messi earned another $27 million through his lifetime deal with Adidas, as well as endorsements with Gatorade, Pepsi and Huawei. The 41-year-old boxer is No. 1 on Forbes’ list of highest-paid athletes, raking in a whopping $285 million over the course of 12 months. Mayweather landed the spot for the fourth time in seven years, mostly thanks to the $275 million he earned for his 2017 boxing match against UFC star Conor McGregor. 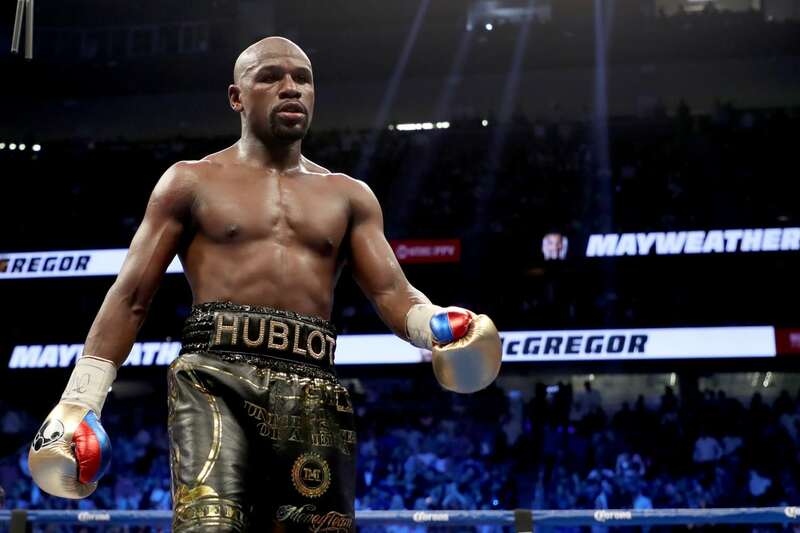 The 10-round battle, which ended with Mayweather bumping his career record up to 50-0, earned over 4 million pay-per-view buyers and generated more than $550 million in revenue. Mayweather also garnered an additional $10 million from appearances and his endorsements with Hublot and Tequila Avion.